Calling all super bike owners! Register to join a convoy of international and local superbikes for a good cause – fundraising for charity. Organised by the State Youth, Sports, Women, Family and Community Committee together with Mega Fortune Bikers Club, Penang and with the support of the Penang State Sports Council, the Penang Bike Week – Charity Ride will be held from on June 25 to 27 to raise funds for MAKNA and St Nicholas Home. The convoy is expected to attract up to 1,500 riders from all over Malaysia and also Thailand and Singapore and funds would be raised by donations from the participants, said State Youth and Sports, Women, Family and Community Development Committee chairman Lydia Ong Kok Fooi, who is also the state Sports Council chairman. “This event, as like many other events under our Participative Sports Calendar of Events, would help encourage more community involvement in healthy activities and also help boost tourism – an important revenue (for the Penang),” she said during the press conference at Tanjung Bungah Beach Hotel yesterday (June 3). 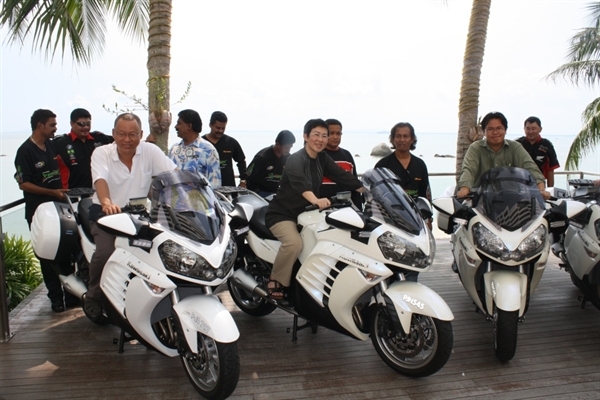 She said the riders would be treated to a round island ferry ride as part of the itinerary on June 26 which would start at from Tanjung Bungah Beach Hotel, Penang Bridge, Seberang Jaya, Cherok Tok Kun and back to the hotel. “We hope to get the Governor of Penang to flag of the event at 9.00 am on June 26,” she added. 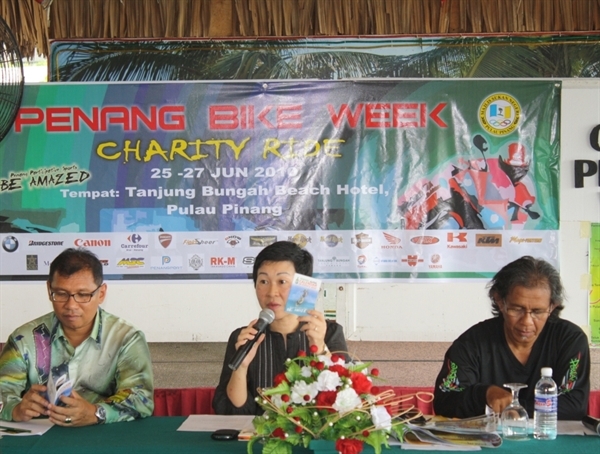 Organising chairman Mohd Damanhuri Abd Talib said the riders will end the day with the Grand Dinner & Penang Bike Week Gala Night at Tanjung Bungah Beach Hotel where there will be cultural and singing performances including a song performed by Ong. “There will also be games and lucky draw where the grand prize is the latest SYM motorcycle, which will be launched in Malaysia on June 5, worth over RM4,000. 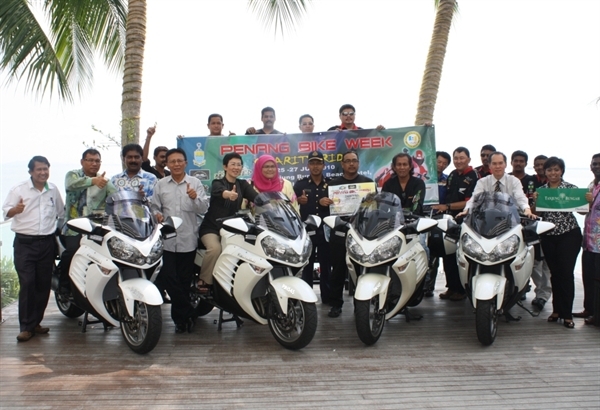 “The Penang Bike Week will end on June 27 when the riders check out and ride home,” he said. The participation fee is RM100 which include an event t-shirt, a limited edition Rider T-shirt, lunch and ticket to the Grand Dinner & Penang Bike Week Gala Night said Damanhuri. Closing date for registration is June 10.